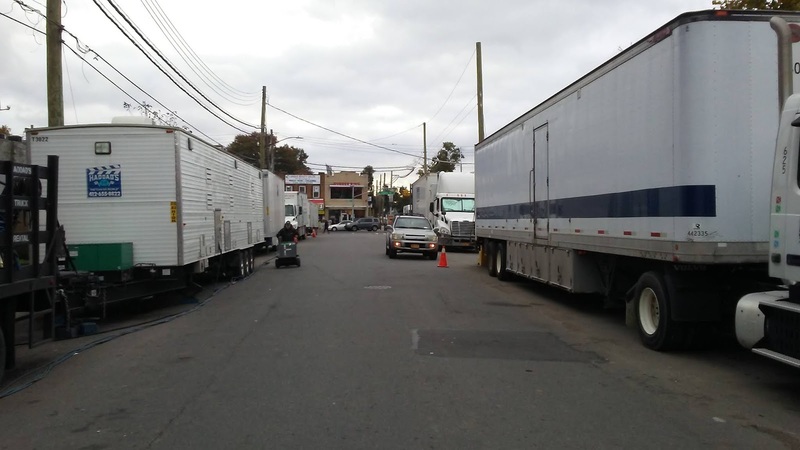 Some residents of Jamaica Queens have come to a nightmare reality. They now believe that their local leaders will NEVER cleanup Jamaica. Yes my comrade, Joe was right. This leaves ONLY one option. We the victims have to Do It Ourselves, (DIO). According to a recent survey, residents said the following: for years they have been complaining about the same issues; with no resolution in sight. 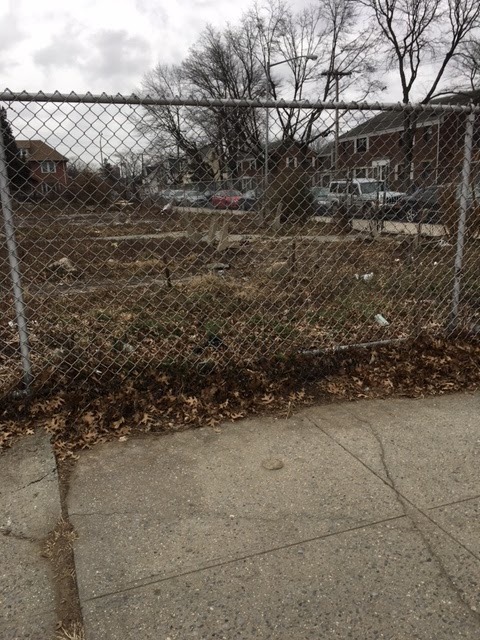 The abandoned park at Merrick Boulevard and 109th Avenue take the rotten cake. It has been an eyesore for roughly 30 years. Some elderly residents said they vividly remember playing in the park as young people. On 7/13/16 Hon. Howard G. Lane issued an order to thoroughly clean the park. Nevertheless, our local leaders are so well connected that they allowed the court order to be ignored. Amid constant protests the owner was forced to remove garbage and other infectants. James Fob's house has been abandoned about 15 years. Cleanup Jamaica forced the Department of Sanitation to implement a NEVER before policy. 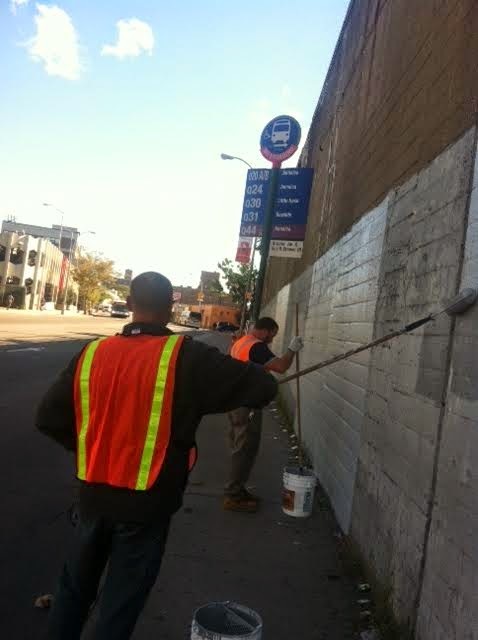 They clean the private property on a regular basis and bill the owner; yet, there is no solution. Location, 107-58 164th. Street Jamaica. All along 108th Avenue and several areas contain widespread smashed-up vehicles and garbage. This is not a slight concern for the politicians. Even the four churches have remained completely silent. Yet, the church leaders invite politicians to make speeches on the pulpit; during campaign seasons. Under the trestle at Guy R. Brewer and Archer Avenue is a disgrace. For decades the area was dark and garbage-filled. About three years ago, it was painted and lights were installed. Now it is back to square one. 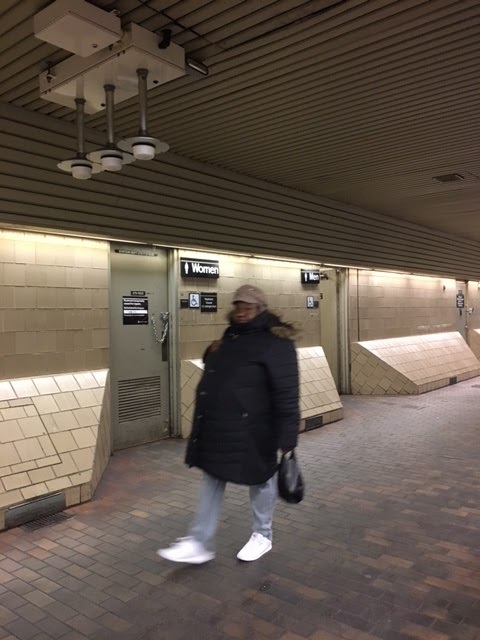 The bathroom at the Archer Avenue E train station is never mentioned in MTA's budget. It is filthy and remains "closed for repairs " more than it is available for usage. 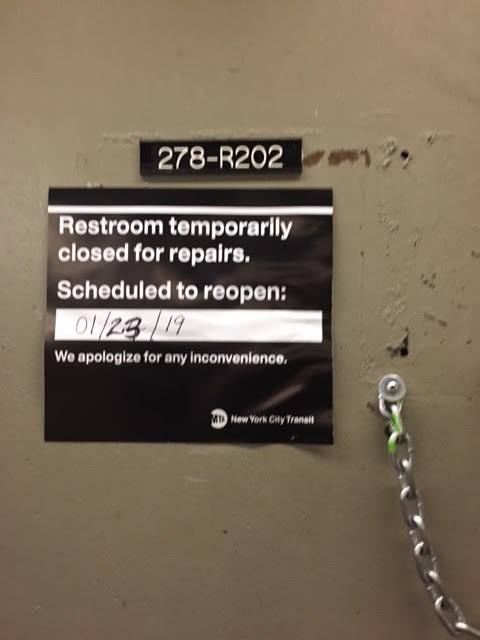 On January 22, it was closed with a repair sign to be opened on the 23. 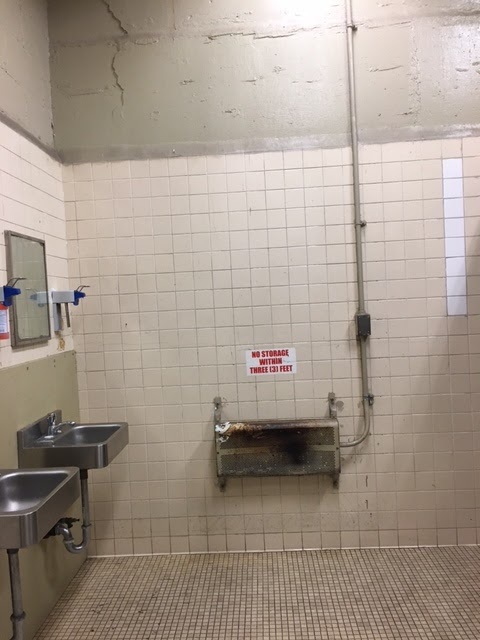 A janitor spotted me taking photos and a few hours later it was reopened. In addition, it was repaired more than 20 times last year, and the year before and the year before. The heater is rusty, the hand dryer is not working and one soap dispenser is broken. Election after election, all the politicians make deceptive promises. It is beyond comprehension why some residents still feel a sense of obligation to vote for democrats. 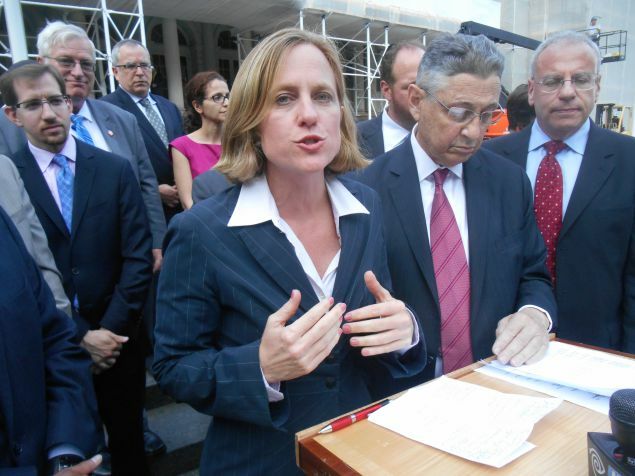 Current Borough President, Melinda Katz declared that she will cleanup Jamaica during her campaign in 2013. This promise-breaker was also a councilwoman. Now she is vying for District Attorney. Residents still have to deal with: Senator Leroy Comrie; former councilman. Other political gangsters: Daneek Miller, Adrienne Adams, Gregory Meeks. Currently in prison Malcolm Smith and Ruben Wills. These have been caught, others will follow suit. After the history of promises and no action; there is no logic or reasoning to suggest, these elected officials will resolve the problems. It makes absolutely NO sense to continue asking them. Thus, in the first phase of, DO IT OURSELVES, I am planning a fund raiser. More information is forthcoming. Thanks for all who having been reaching out to me. I will not send e-mails as regularly due to time constraints, but I will diligently engage in cleaning up Jamaica. Pamela Hazel: Social Media Journalist for Justice. 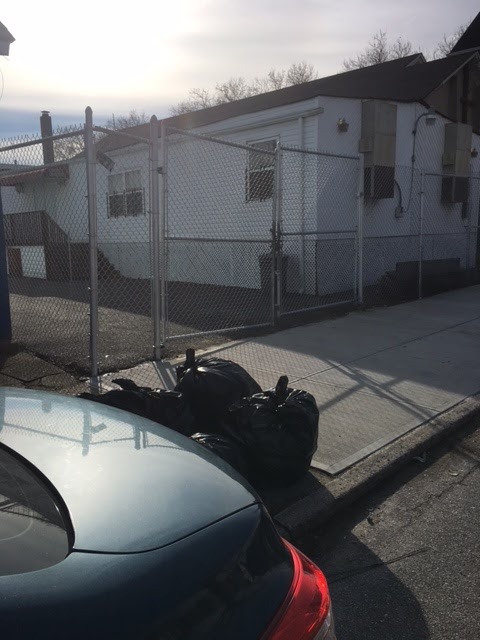 A bulletin from the DEC revealed that 151 Woodward Ave, near Flushing Ave in Ridgewood, is proposed as the site for a full service animal shelter for the borough of Queens. All other boroughs either have a full service shelter or are in the process of building one. Queens was the last one to be addressed. There is a plan to site an intake center at the corner of 69th Street and Metropolitan Ave in Middle Village in the meantime, to replace the Rego Park drop off center. Details about the cleanup are here. First, they came for the graffiti artists. Now it’s a famed installation maker. MoMA PS1 has temporarily closed an installation by the artist James Turrell after construction nearby crept high enough to be visible when experiencing the work, which is meant to offer an uninterrupted view of the sky. “James Turrell’s ‘Meeting’ is currently closed at the artist’s request, and it will remain closed until the temporary construction scaffolding is no longer visible from the work,” the museum’s director of marketing and communications, Molly Kurzius, said in an email. The installation has been closed since Friday. The construction in question is for a pair of luxury apartment buildings that are going up at 22-44 Jackson Avenue in Long Island City. The real estate developer behind those buildings, Jerry Wolkoff, pointed out that the construction has been going on for a while. “Whatever I have there to my knowledge has been there for the last two years,” he said in a phone interview Tuesday. The condos were already the subject of consternation from artists: They’re being built on top of what was previously the building known as 5Pointz, a warehouse once prized as a haven for legal graffiti. Last year, 5Pointz was the subject of a lawsuit when Mr. Wolkoff, who owned the building, was fined $6.7 million for painting over the works of 21 graffiti artists in 2013. The building was demolished in 2014 to make way for the apartment buildings. 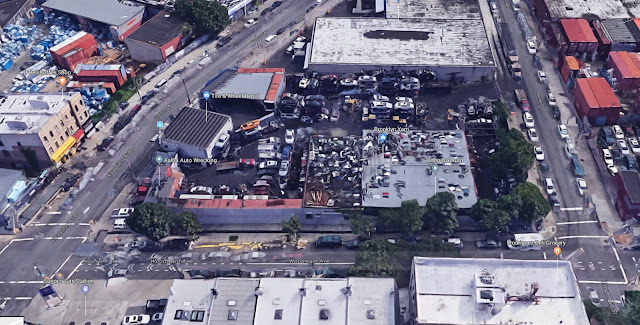 Ever since Mayor de Blasio last February announced that six acres of Willets Point would be getting developed with 1,100 affordable housing units and a 450-seat elementary school, observers wondered what would become of the other 17 acres of Iron Triangle land owned or controlled by the city. Four months ago, a task force came up with recommended scenarios about what should be built on the 17 acres that, according to the city Economic Development Corp., “will serve as a basis for further discussion with the community and guide principles for development of” the land. And last week, the EDC released an illustrative proposal for each of the two scenarios. One of them features an up-to-25,000-seat soccer stadium directly adjacent to Citi Field, which it would share parking spaces with. Borough President Melinda Katz and City Councilman Francisco Moya (D-Corona), the task force’s two co-chairpersons, have spoken in favor of building a soccer stadium at Willets Point. A possible mixed-use district in the 17 acres is outlined in the other design. It would mainly be made up of housing units with a range of affordability and some on-site parking, though it also features space for a health center, retail and a high school. Any concrete plan for the land in question would be formed after negotiations between the EDC and the project’s contractor, the Queens Development Group, which is a joint venture of the Related Companies and the Mets-controlled Sterling Equities. Neir's Tavern's building gets bought by a mysterious LLC based in a College Point house. The building that has been home to historic Neir’s Tavern for 190 years has been sold. Negotiations for a new lease are underway with a management company that represents the new owners, according to a spokesman for the landmark bar. “No one knows what’s going to happen,” said Ed Wendell, head of the Woodhaven Cultural and Historical Society. The historic building at 78th Street and 88th Avenue in Woodhaven was sold in mid-December to a limited liability corporation based in College Point, according to city records The sale price was listed at $1.35 million. The sale came as a surprise to the bar’s owner, Rendell said. News of the sale was first disclosed last weekend when Neir’s owner, Loycent Gordon, a New York City firefigher who bought the bar 10 years ago and began restoring it, appeared at the Woodhaven Residents’ Block Association’s monthly meeting. The new managers of the building — which also includes a recording studio, a karate studio and two private apartments — “had no idea until I told them” that it housed a piece of New York history, Gordon told the meeeting. Originally, the managers intended to put “a grocery store or a liquor store” in the spot where Neir’s is, they told Gordon, who said he was “speechless” when he learned last month he had a new landlord. The identity of the new owners is — as is often the case with commercial real estate transactions — difficult to track down. A corporation named 353 Rockaway Realty LLC is listed as the new owner. Records show its address as a single-family, private home in College Point. The owner of the home, Xuiming Shi, does not have a listed phone, nor can any other phones associated with the address be found. Kew Gardens Town Hall meeting focusing on incoming mixed-use tower jail. A local coalition made up of several community groups is hosting a “call to action” town hall in Kew Gardens next week over the city’s controversial plans to build what some locals refer to as a “mega jail” in the neighborhood. The town hall, organized by the Community Preservation Coalition, will take place on Jan. 31, and centers on the city’s borough-based jail proposal released last summer that aims to close the jails on Rikers Island and develop four new jails across the boroughs. The plan would see the redevelopment and expansion of the Queens Detention Complex on 126-02 82nd Ave., which connects to Queens County Criminal Court, and the parking lot next to it into a 1.9 million square-foot detention facility with about 1,510 beds—a development approximately three times larger than the existing building. The proposal, while garnering praise by many for its goal toward justice reform, has also been met with much criticism over the amount of community engagement in developing the plan, and even the scope and objective of the project. Maddy Farooqui, a business owner, lifelong Kew Gardens resident, and a member of both the CPC and the Kew Gardens Civic Association, said locals have lots of questions about a plan that has been “railroaded” in, and are not fully aware of its extent. City have 30 percent of their costs covered. I would consider voting for the person who would rescind the tax break for SNL in the hopes that the irrelevant unfunny show would move or end because of it. Despite growing safety data on e-scooters — powered two-wheelers that are zipping along city streets nationwide — the industry’s two biggest scooter-rental players, Lime Bike and Bird, spent $230,000 last year trying to talk city pols into making them street-legal in New York. Three New Yorkers died riding privately-owned e-scooters in 2018, all in the Bronx, the Department of Transportation reported. And fatalities and injuries are on the rise in cities where e-scooters — which have top speeds of 20 mph — have been legalized and dockless, app-connected rental systems are in place. 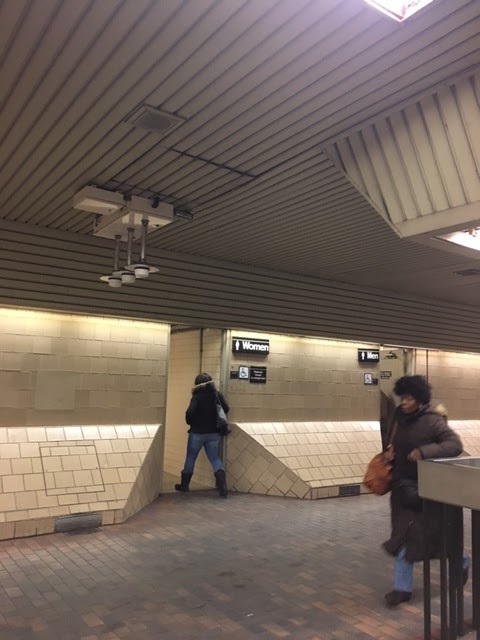 The battery-operated devices, which unlock with an app and cost a few dollars to ride, are touted as a green alternative to autos and a savior for troubled transit systems. 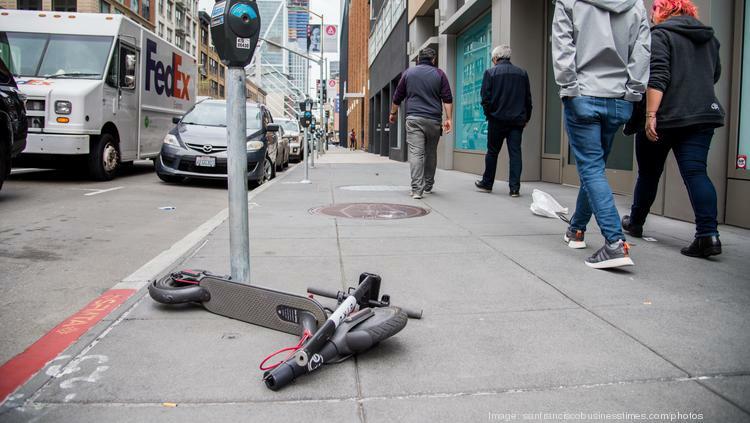 Bird issued a report in December offering its scooters as a solution to an L train shutdown. Uber is also looking to break into the e-scooter business, and used a slice of its $4.9 million lobbying budget on the issue. At a hearing Wednesday, some City Council members brushed off safety concerns. “The only way we’re going to advance our transportation options and alternatives is by legalizing the e-bikes and e-scooters,” said Rafael Espinal (D-Brooklyn). Admin. note: Councilman Espinal is an idiot. What about expanding city bus services now that there are more strict standing laws in the bus lanes? After more than a year of community opposition to a commercial development planned for a site next to a wetland area in Mariners Harbor, the biggest obstacle the developers now face may be in the form of a reptile. It’s believed that the eastern mud turtle, which is on the New York State list of endangered species, may reside in the area behind United Cerebral Palsy at 2324 Forest Ave. -- where there are plans to build 226,000 square feet of commercial space, which would house a BJ’s Wholesale Club, a gas station, a supermarket and other retail, and would include 838 parking spaces. After a database revealed historical evidence of the prior presence of the eastern mud turtle at the site, the Department of Environmental Conservation (DEC) has requested that the developer, Manhattan-based Josifa LLC, conduct a survey for the species. “DEC requested the survey because the Natural Heritage Program database showed historical evidence of the prior presence of an endangered species, the eastern mud turtle, at the site, which still contains suitable habitat for the possible existence of the eastern mud turtle,” said Erica Ringewald, a spokeswoman for the DEC. If the eastern mud turtle is found on-site, the project, which was originally on track to be completed in fall 2019, may experience additional delays. While the City Council approved the plan in October 2017, conservationists have expressed various concerns, saying the project will result in the destruction of 18 acres of woodlands that play a pivotal role in maintaining the wetland ecosystem. Hotel that was converted into a homeless shelter is sold for 36.5 million dollars. A hotel-turned-homeless shelter in the tiny Blissville section of Long Island City, Queens, sold to a Brooklyn-based developer for $36.5 million, property records show. Shulem Herman bought the Fairfield Inn at 52-34 Van Dam Street between Starr Avenue and 34th Street from the family-run Lam Group in a deal that closed on Nov. 16, according to property records made public in November. Lam and Herman did not immediately respond to requests for comments on the sale and it wasn’t clear who brokered the deal. Herman financed the deal with a $23.2 million mortgage from Sterling National Bank. It was also unclear in property records when exactly the Lam Group bought 52-34 Van Dam Street, but the company and Sing May Realty first took out a $12 million mortgage on the property in 2006. Sing May Realty picked up the property for $2.3 million a year before. Sing May transferred the property to the Lam Group in 2012, property records show. The 12-story hotel began housing up to 154 homeless families in March as part of Mayor Bill de Blasio’s Turning the Tide plan to fight back against the city’s rising homeless rates, The LIC Post reported. The property is also a block away from 52-02 Van Dam Street where developer Sam Chang plans to build a 14-story hotel with 282 rooms, The Real Deal reported. This story is a few months old, but this bares repeating. Developers are capitalizing on the homeless crisis and the fauxgressive Mayor is allowing it to happen. This is the real affordable housing plan. The plan to close Rikers Island has always relied on two contingencies: shrinking the current population of inmates in the city and spreading those inmates across the boroughs in five new and smaller jails. In Brooklyn, that means the House of Detention located on Atlantic Avenue, which currently holds about 800 inmates, needs to be renovated and expanded. The plan proposed by the city calls for the current facility to be replaced by a 1.4 million square-foot building that would be 430 feet high and could fit approximately 1,500 inmates. The former chief judge of New York state, Hon. Jonathan Lippman, who led the commission that initially called for the city to shut down Rikers Island, said that plan is too much and that the city needs to do a better job of listening to local communities. 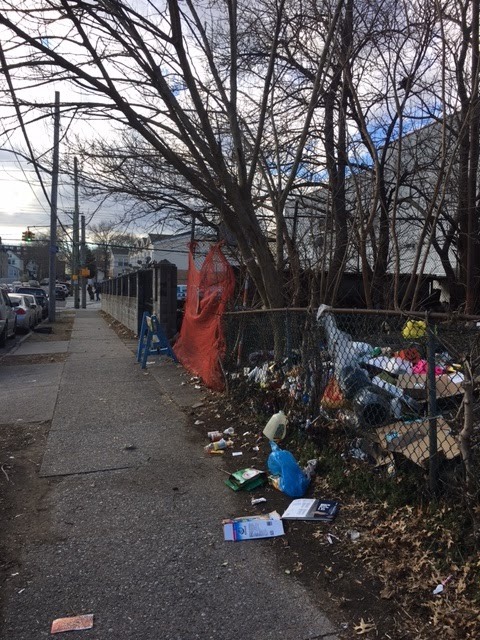 Lippman added that part of the problem is that the city has not gotten much input from the communities themselves and said that he’s complained about the issue to the powers that be. So far, the few public hearings that have taken place have often been overtaken by advocates who do not want Rikers Island replaced with five community jails. Lippman said that he is worried that such advocates could derail the project entirely, adding that standing opposed to community jails is akin to being for Rikers Island. The proper analytical response to Mr. Lippman's current epiphanies about and the ramifications of his initial plan is "duh"
First lady Chirlane McCray has raised between $13 million and $28 million in donations for a City Hall-aligned nonprofit from people and entities with business before her hubby Mayor de Blasio, The Post found. The Mayor’s Fund to Advance New York City raised the cash during McCray’s four-year tenure as chairwoman from big Wall Street banks, developers, lobbyists, nonprofits and others. The Post analyzed donations made between April 2014 and September 2017 found in disclosures filed with the city Conflicts of Interest Board, along with data from the Mayor’s Office of Contract Services. In January 2014 de Blasio got approval from COIB to appoint his wife chair of the Mayor’s Fund. As chairwoman, McCray is the “lead fund-raiser” for the fund, which was created in 1994 under former Mayor Giuliani to promote City Hall’s agenda. Conflict of interest rules bar civil servants from fundraising on the city’s behalf from people with business before their agencies unless “firewalls” exist between those officials and decisions that could impact the donors. In fact, in her “unofficial” City Hall role, McCray has a full-time staff of five, oversees the administration’s $850 million mental health program, interviews job candidates, sits in on staff meetings, takes solo trips outside the city billed to taxpayers and advises de Blasio on everything from policy to media strategy. She’s also being positioned as a potential candidate for public office. As boss of the mayor’s fund, McCray has the freedom to not only fundraise from anyone with business before the city, but discuss the donors or issues and policies impacting them with her husband. It also shows that she is an actual, real time "agent of the city". 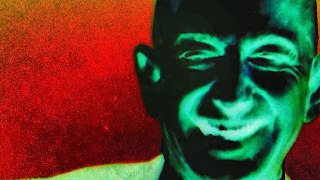 In the frigid February of 2009, Mickey Cohen was on the road to the 50-acre Ridgewood Reservoir on the border of Brooklyn and Queens before most New Yorkers had their morning coffee. He’d park his car near one of the reservoir’s three basins, gingerly rappel down a 30-foot drop into the chasm, and hike into the otherworldly wetlands. During these trips, the certified wetland delineator unpacked his gear and drilled into the soft earth, lugging the two-foot cores out of the ground and examining them, in part, for traces of plant species that no longer grow there—a sign of wetlands that once existed. After hours of tests, he’d warm up in the sun and pull out a mystery meal packed by his wife, Barbara. There, in his sunny spot eating lunch, he might gaze out at the gray-blue pond—still as glass—and admire the landscape, home to dozens of species tucked among the reservoir’s golden meadows, thickets, and canopies of tree branches. 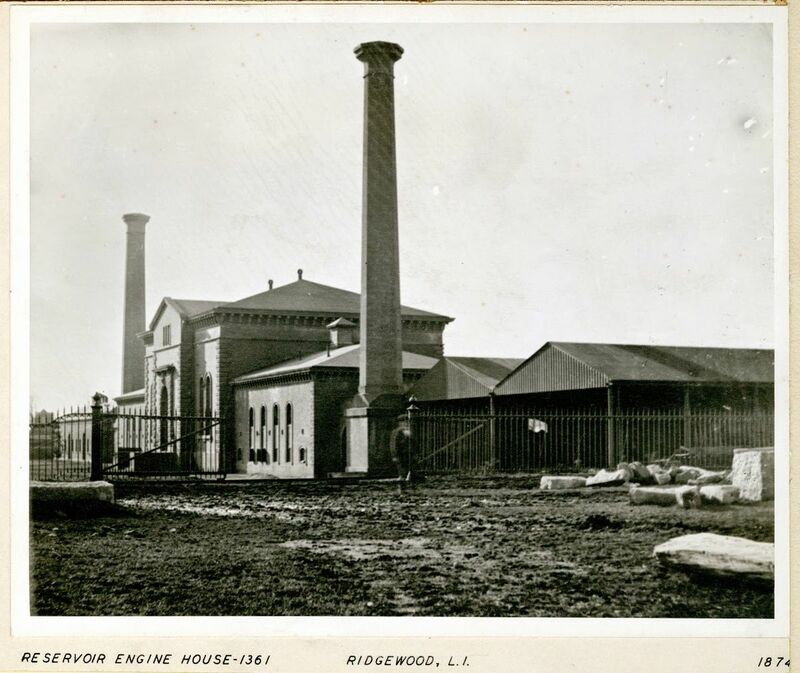 It was a practice he repeated for several days as a coalition of groups called the Highland Park Ridgewood Reservoir Alliance prepared an application urging the state grant protected status to the wetlands within the reservoir. Cohen’s volunteer work of mapping the wetlands inside the Ridgewood Reservoir that month was a key component to the 2010 application—a major step in the lengthy struggle to obtain protected status for the natural oasis. Now, after more than a decade of advocates fending off development and fighting for protections, the state Department of Environmental Conservation (DEC) has classified 29.5 acres of the reservoir’s wetlands as Class 1 under the Freshwater Wetlands Act, state documents show. The ruling virtually assures the reservoir’s survival for generations. Today, it is a haven for wildlife with lush swaths of native birch, sweetgum, and honey locust trees. The landscape boasts a handful of habitats—forests, fields, wetlands—and makes an ideal spot for wildlife watching, with more than 150 bird species, including the endangered short-eared owl. But a plan by the Parks Department threatened the accidental wilderness. The agency, which acquired the reservoir from the Department of Environmental Protection in 2004, considered a $50 million plan to raze part of the reservoir for ball fields. Community activists, naturalists, and preservationists railed against the project, urging the city to abandon its plans. Admin note: this news item and headline was sent by proxy by the Mighty Crapper. Despite whatever it says on the signs on Mayor de Blasio's dais or podiums, crime has gone up in Queens. But according to NYPD data, rapes, murders, felony assaults and incidents of grand larceny have increased in Queens. In 2017, there were 50 murders, 307 rapes, 2,823 robberies, 3,820 felony assaults, 2,914 burglaries, 7,842 incidents of grand larceny and 1,568 incidents of grand larceny auto in the borough. According to NYPD end-of-year crime statistics, there were 63 murders, 389 rapes, 2,523 robberies, 3,848 felony assaults, 2,496 burglaries, 8,070 incidents of grand larceny and 1,555 incidents of grand larceny auto in 2018. It was the bad old days, it is the new bad days. 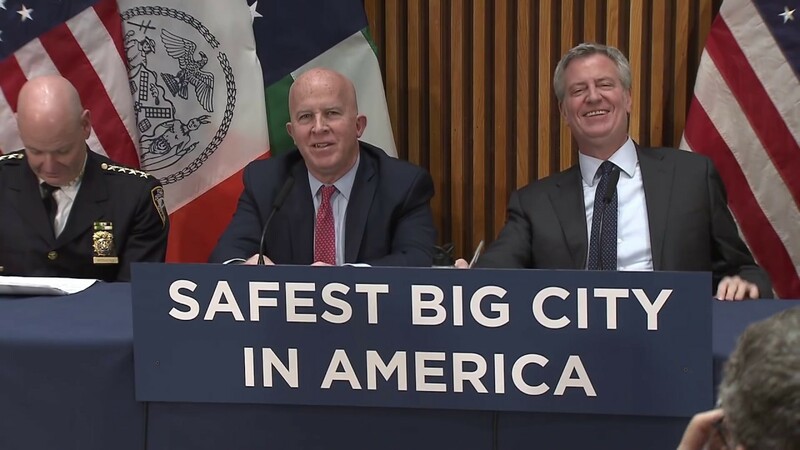 The NYPD’s “new vision” will comprise Manhattan’s 25th Precinct, Brooklyn’s 73rd and 75th precincts and the Bronx’s 40th, 41st and 42nd precincts — all of which have violent crime rates more than twice as high as the rest of the city. Despite the confirmed alarming stats above, Queens is just going to have to wait. About 120 ninth-grade students from Metropolitan Expeditionary Learning School in Forest Hills, rallied at the shuttered Jamaica Bay Wildlife Refuge Visitors Center on Thursday in an effort to raise awareness on how the ongoing federal government shutdown is impacting their education, school and communities as a whole. Students presented their solutions to environmental issues on Jan. 17 and advocated for the opening of the Jamaica Bay Wildlife Refuge Visitors Center — located at 175-10 Cross Bay Blvd. — where they’re unable to complete their fieldwork investigations, due to the government shutdown. Each year, ninth-grade students in Living Environment class work with the Jamaica Bay Wildlife Refuge, which is part of the National Parks System, to study ecological systems and human impact in a real-world setting. At the conclusion of every semester, students present their findings at the Visitors Center as part of their final presentation of learning. Conflicting asbestos controversy at upcoming homeless shelter in Glendale. "World's Borough" Queens has lots of houses for sale. The number homes that were on the market in Queens took a sharp increase at the end of the year, according to a recent report. StreetEasy recently released their Q4 2018 Market Report, which tracks the real estate trends throughout the city. According to their findings, the number of homes for sale in New York City as a whole grew at double-digit rates, particularly in Queens, which saw a 30.8 percent annual increase in 2018. In the wake of the Amazon HQ2 announcement, Long Island City saw a 45.2 percent increase annually in sales inventory, which was the most out of all the Queens neighborhoods. The report found that the number of homes that were offered a price cut rose to 19.3 percent, marking a 5.6 precent increase year-over-year in Queens. However, the median price cut amount remained unchanged at 4.5 percent. The fourth quarter report also found that the StreetEasy Queens Rent Index increased 2.6 percent annually, reaching $2,164. However, the share of rentals advertising concessions fell to 9.6 percent in Queens, marking a 5.6 percent decrease annually. Northeastern Queens residents beware: burglaries are on the rise in the 111th Precinct according to area police. The Bayside-based precinct reported on their Twitter account that house break-ins were becoming especially prevalent in areas west of the Clearview Expressway. According to precinct Captain John Hall, nine burglaries occurred from Jan. 10 to Jan. 18. The map shared on their Twitter page showed that five out of the nine burglaries happened within the Auburndale neighborhood. In the precinct’s yearly crime recap, Hall reported that the precinct experienced their “lowest burglary number ever” in 2018, with 163 reported incidents in 2018 versus 167 burglaries in 2017. Wow, down by four! Keep your eyes peeled anyway. Councilman Ulrich, one of 24 candidates running for Public Advocate, targets the Dope From Park Slope on his platform. The field of candidates running for public advocate next month is starting to resemble the start of the New York City marathon. So Eric Ulrich, the three-term Council member from Ozone Park, has found a simple message to stand out. “If people love Mayor de Blasio, if they think he’s doing a great job and think the city is headed in the right direction, then they have 20 other candidates to pick from,” he said in an interview this week with the Queens Chronicle. “If someone is looking for someone to be a public advocate [who] is not afraid to be independent of the mayor, then I’m their candidate. That’s why I’m running. Ulrich, who turns 34 two weeks before the special election February 26, is a popular figure in his South Queens Council district after his surprise victory in a 2009 special election and then winning re-election three times in an area that is overwhelmingly Democratic. He is barred by term limits from running for City Council again when his current term expires in 2021. I personally think this position is redundant, after all the majority of these candidates are already in city council, so they are already advocates for the public. Amazon sends glossy junk mail to Queens residents. That’s the message in one of two fliers being sent to residents in Queens as the company tries to win over residents in its controversial move to the borough. “The announcement of our new headquarters in Long Island City was the beginning of what we hope will be a long and mutually beneficial partnership between New Yorkers and Amazon,” the mailer says. The positive aspects of the move are touted in both fliers, including the creation of 25,000 new jobs over 10 years and career training for residents. The first flier says Amazon will be a “partner” with the community. The flier also encourages people to call state Sen. Michael Gianaris (D-Astoria) or other state lawmakers to tell them to support the project. Gianaris has been a critic of Amazon’s move to Queens. "It's ironic that Amazon wants billions of our taxpayer dollars and is spending so much to convince the people of western Queens that it is entitled to those dollars," Gianaris said in a statement. "People will not be fooled by slick advertising — they will continue to be against the Amazon deal and so will I." Critics of the company’s move to Long Island City have pointed to the $3 billion in tax breaks as well as concerns about the impact on housing prices and if there is enough transportation to handle all the new commuters.